If you are planning your trip to New Zealand, you are probably trying to decide whether it’s the North or South you want to visit. While we would recommend visiting both islands, that’s not always realistic with travel timeframes. Although the North Island is smaller, it is home to over 75% of New Zealand’s population. It has a warmer climate, and there is a great range of activities to suit everyone. You will be thrilled by the North Island’s spectacular natural and man-made wonders. We have already written a detailed road trip itinerary for your North Island adventure, that you can read here. All of New Zealand has something spectacular to offer, but here are 7 great reasons why the North Island should be on your bucket list. 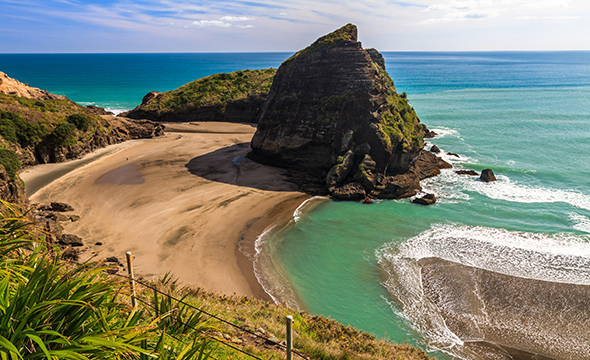 New Zealand’s coast is dotted with amazing beaches, although some of the best are located on the North Island. Whether it’s surfing, fishing, swimming, or simply taking in the view, the beaches in the North Island have something to offer everyone. Visit the Coromandel for pristine beaches, native forests, and the iconic Cathedral Cove. 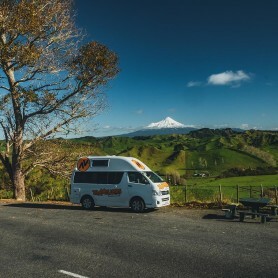 Take a drive to Northland and Bay of Islands which stretches from Auckland to the top point of New Zealand and offers some of the most spectacular beaches and water activities in New Zealand. A visit to the Bay of Plenty region will please all beach-goers, with great surfing, scenery, wildlife, and New Zealand’s only active marine volcano. New Zealand’s indigenous people play an integral part of Kiwi life. Maori culture is full of vibrant and distinctive traditions and attracts interest from people around the world. Almost 90% of people of Maori descent live on the North Island, so that’s where you will find the best Maori cultural experiences. 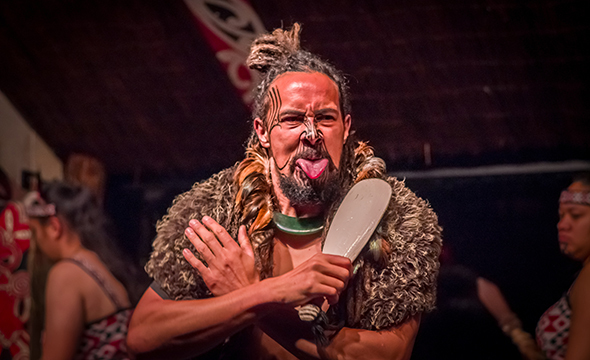 For the best Maori cultural shows, don’t miss the town of Rotorua. Here you can fully immerse yourself in the cultural performances such as dancing, song, watching a Haka performance. You can even pull a traditional hangi (food cooked in an underground pit) out of the steaming ground! There are also some amazing wood carvings and Maori tattoo art expos you can check out. 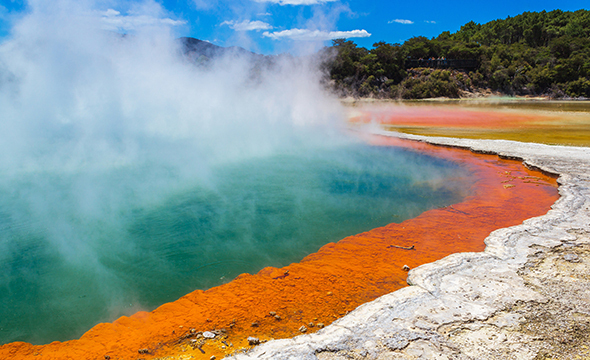 New Zealand is in a hotspot for geothermal activity, especially in the North Island between Rotorua and Taupo. It has the highest concentration of hot springs, sulfuric pools, volcanoes and bubbling mud in the world. Viewing these are a sight to behold, the experience being nothing short of unbelievable. Watch boiling mud pools and view the landscapes as they hiss, and see places that have been shaped and brightly coloured by geothermal forces for thousands of years. Awe at the orange-lined mud pools at Wai-O-Tapu, or take a dip in the free hot springs at Hot Water Beach in the Coromandel region. New Zealand offers some of the best quality wines in the world. The North Island is home to some of the largest and best wine regions in New Zealand. The temperate climate and plentiful sunshine of the North Island provide the perfect climate for grape-growing and hence amazing tasting wines. 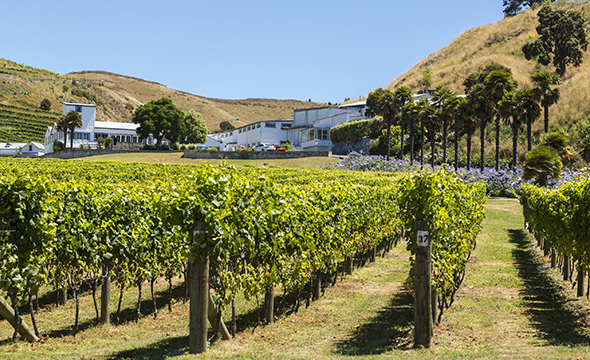 Visit the regions of Hawke’s Bay and Gisborne on the north-east coast for some of the best quality wines, gourmet foods, and secluded vineyards. The North Island is certainly the home to the mass of New Zealand’s population and city hubs. With around three-quarters of the population living in the North Island, you’ll be sure to find some of the best city experiences in the country here. It is home to both New Zealand’s capital city, Wellington, and most populated city, Auckland. If you are big into foodie culture, you’ll love Wellington’s culinary experiences. It is the food and coffee capital of New Zealand with plenty of craft beer breweries and quirky cafes to indulge in. 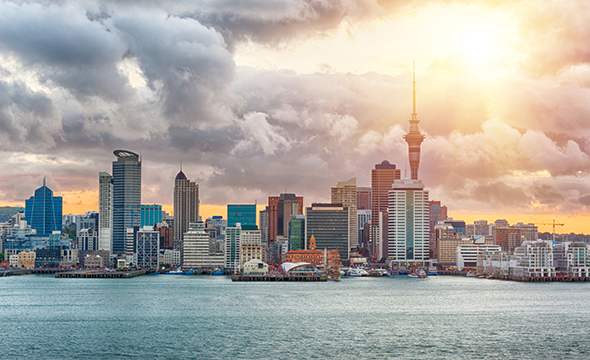 If you’re looking for exciting shopping, nightlife and entertainment, you will love the city of Auckland. New Zealand is well known for its scenic landscapes and enchanting native forests. The environment in the North Island offers some of the most spectacular forests in the world. Visit the ancient world of towering trees at Waipoua Forest in the Northland region of New Zealand. You will be surrounded by huge kauri trees and colourful ferns along the road’s edge. 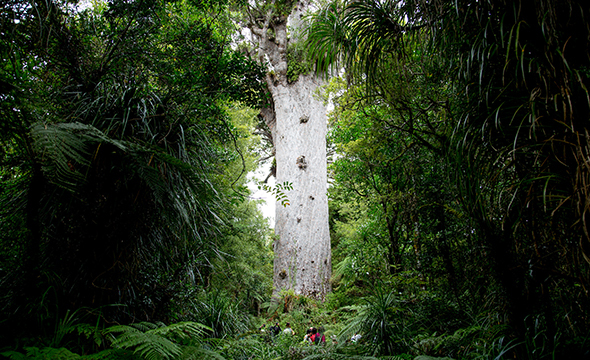 Park outside and take a walk through the forest, you will come to Tane Mahuta, one of the largest trees you will probably ever see! It is nearly 18 metres long, 4.4 meters in diameter, and estimated to be over 2000 years old. The North Island offers some of the most exciting wildlife encounters in New Zealand. Explore New Zealand’s unique biodiversity from up-close, from on the land to in the ocean. Swim with the dolphins in the warm waters of the Bay of Islands or take a boat ride to see them in the Bay of Plenty. In both places, you can also go whale watching and spot orca, minke and Bryde’s whales at certain times of the year. 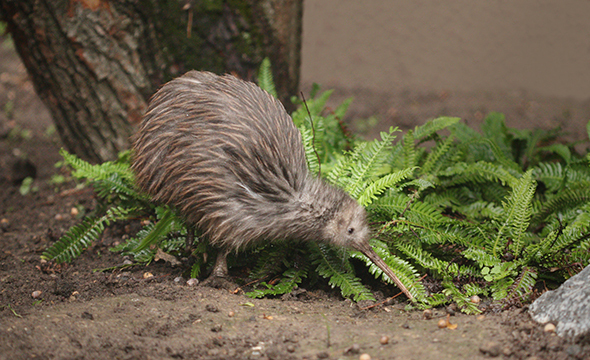 You can spot New Zealand’s national icon, the kiwi bird, at Wellington Kiwi Sanctuary, or if you’re lucky you can encounter one in the wild in places such as Waipoua Forest or Warkworth. New Zealand also has several species of penguins and seals that you can see playing along the coast of the North Island. So there you have it, 7 amazing reasons why the North Island should be on your bucket list! 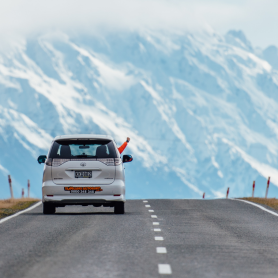 If you are interested in the great outdoors and the natural wonders of New Zealand, there’s nothing better than a road trip. 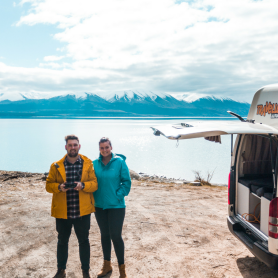 Hiring a campervan and having the freedom to sleep under the stars and get up close to all of the North Island’s magic is a truly memorable experience. 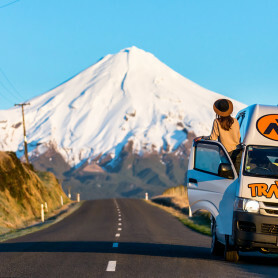 Get your quote today from Travellers Autobarn in Auckland, and start planning your North Island trip of a lifetime today.